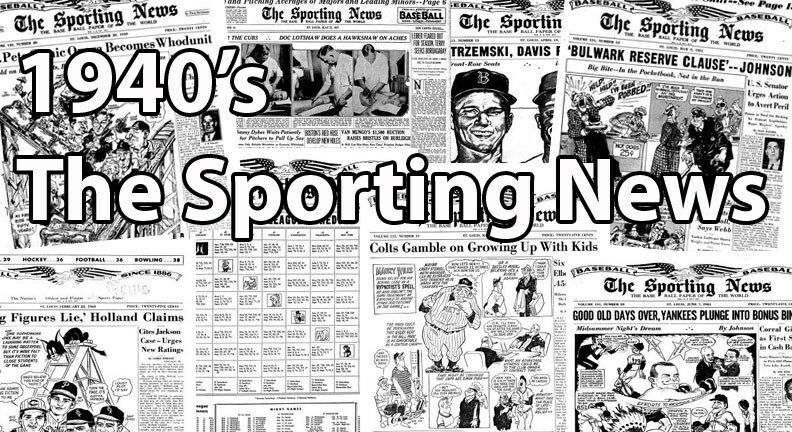 The Sporting News was released on a weekly basis and featured baseball news, editorial pieces, and rumors. TSN was printed in black-and-white and included box scores from all major league games. In 1945, TSN changed its size to 12" by 16½" and no longer required a horizontal fold. The 1940's also ushered in the era of caricatures. Click here to read more about The Sporting News issues from the 1940's! CLICK HERE if you want to sell your 1940's Sporting News cards. Showing 1 to 65 of 65 products.